Most of us have been in the position where our internet seems to be working at its peak one minute and then incredibly slow soon after. And while the service providers can blame the weather, the download size, and the height of our modems, there is also something which they tend not to wish to discuss which could be affecting your internet experience, and that is throttling. This process is when internet service providers slow or temporarily block certain content from the “fast lanes” of your internet service. In most instances, the block is an attempt to have you upgrade your services or purchase special features to enhance your internet access subscription. Net neutrality is the combative legislation which attempts to make all content of the same worth. Blocking, which is what Net Neutrality fights against, is essentially a monopolization of the internet by the service providers. They can determine which content is important, put slags and reduced streaming capabilities on other services to force users to upgrade to higher packaging and products. Net neutrality makes al the content provided to you to stream at the same level of importance. This mandatory fix not only allows for the individual to have an unhindered experience (as no one likes to watch streaming content that pix-elates and freezes), but also helps to encourage new developments and competition in the marketplace. Furthermore, the net neutrality encourages more legitimate streaming sites, thereby reducing the number of torrent and other peer-to-peer sites which have become popular as a means to access throttled and blocked IPs. Think of all the developments of streaming content in the past few years. Now, think about how blocking could stifle that. Developers do not want to focus their attentions and allocate funds to content which will be blocked by service providers. Instead, they wish to have content which is readily available, can be streamed quickly, and has call to action buttons, and marketable features which will bring them capital. Capital would be greatly minimized if blocking is allowed for the internet. Companies with the most money would be able to purchase their way into the fast lanes of streaming, while smaller start up companies would be pushed to the back of the line. It would be an axe to innovation, as the startups would surely not have the funds to compete with companies such as Facebook, Google, Microsoft, Hulu, Sony, etc. What If Your Content is Already Being Blocked or Throttled? When using any of the bypass sites, it is imperative that you do not use the torrent downloads as these are very prone to viruses and malware. Stick to the proxy streaming sites. What Can You Do About Throttled Non-Blocked Content? There are some sites which are not blocked but are not in the fast lane either. In such instances, you will need to have your internet and your computer working at its peak performance. Firstly, check the drivers and the processors of your computer. Make sure that all of the devices have the latest software and that all the devices are up to date. If you find that your Skype, Netflix, Hulu, and other streaming content still remains slow, you may need to update your video and audio card. Secondly, try a signal booster. Sometimes this will help in the upload and downloading speeds. Once you’ve done what you can do on the hardware side of things, use encryption technologies offered by VPNs or Tor to view content you wish to access. You should find the speed of access significantly improved. 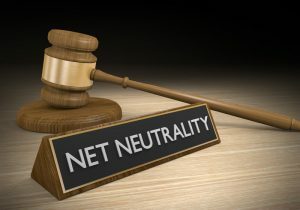 While there are ways to get around blocked streaming and throttled sites, much of the problem lies in the non implementation of net neutrality. While net neutrality would not un-block certain sites, it would state that all sites must be streamed at the same speed and no favor given to one service or another. It would ensure that when the streaming sites are available that the content could be used and accessed without lags and slags. This alone would encourage users to subscribe to more streaming services. Should Net Neutrality become a thing of the past, we can expect to see the prices of packaging and services increase substantially while basic internet connection packages continuously get worse. And while we live in a technological age, without net neutrality, internet users may find that we digress back to the days of dial-up connection speeds and broadband. The battle isn’t over yet. One thing you can do to protect your internet freedom is to write in to your congressional leaders and voice your support for net neutrality. Try to find out what their position is on this issue. Encourage them to fight for it. The internet should be free of encumbrances just like the air you breathe so treat it as such. Stay tuned for more updates on this important topic that affects everyone.